Half of school children walked or biked to school in 1969, but only 13 percent were doing it in 2009. 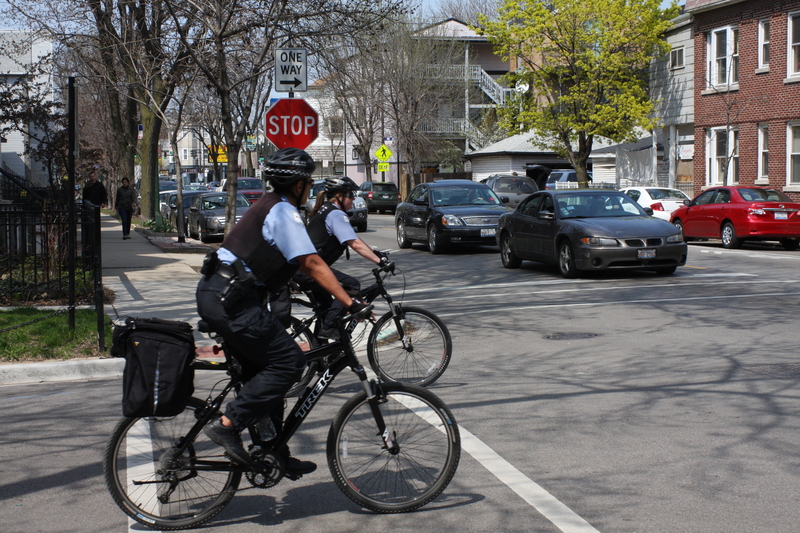 In a follow-up story on a report that first appeared last spring, the Chicago Tribune today published an analysis showing stark disparities in the number of bike related citations issued in African American neighborhoods. Unfortunately, we are not surprised there was no significant shift in the pattern of bike-related citations. The disparity in where these tickets are being issued strongly suggests they are not primarily about improving traffic safety, which is deeply troubling. As we said after the original report last year, Active Trans strongly condemns any use of traffic enforcement to target specific members of our communities. We call on the Chicago Police Department to respond to the disparities uncovered by the Tribune’s reporting. Some behaviors that are being targeted for ticketing, such as biking on the sidewalk, often indicate there are unsafe conditions for people biking on adjacent roadways. This is especially true in low and moderate income neighborhoods where many people rely on bikes as their primary mode of transportation while dealing with unsafe streets that are the legacy of decades of divestment and deferred maintenance. Chicagoans deserve a comprehensive approach to improving traffic safety that prioritizes equitable infrastructure investment and addresses the most dangerous behaviors on our roadways, such as speeding, drivers failing to stop for people walking, and distracted drivers. Designing and building roads that make these dangerous behaviors more difficult while prioritizing and protecting people who walk and bike can reduce the need for enforcement. At the end of the day, improper use of traffic enforcement is fundamentally a police accountability issue. Active Trans supports the important work organizations engaged in police reform efforts and looks to their leadership on the best way to address this critical issue.